With the Atlantic Ocean to the east and the Intracoastal to the west, the quaint community of Highland Beach offers a paradisiacal lifestyle unlike any other. 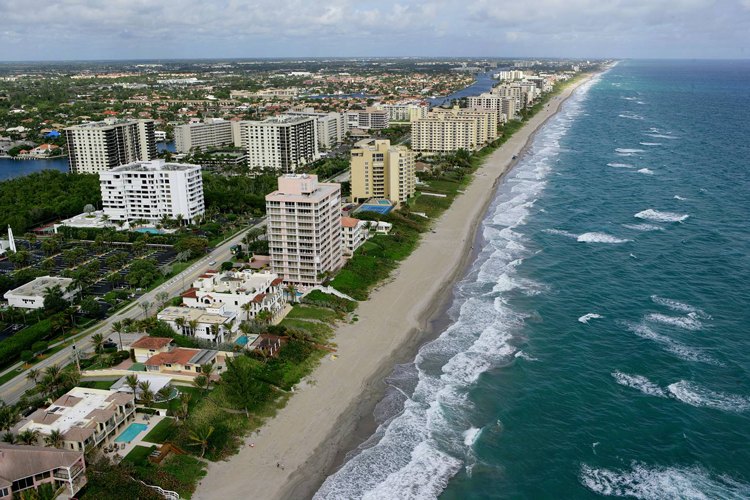 Highland Beach residents may easily access nearby Boca Raton or Delray Beach, yet they may choose to bask in the privacy and serenity of their waterfront oasis at home. 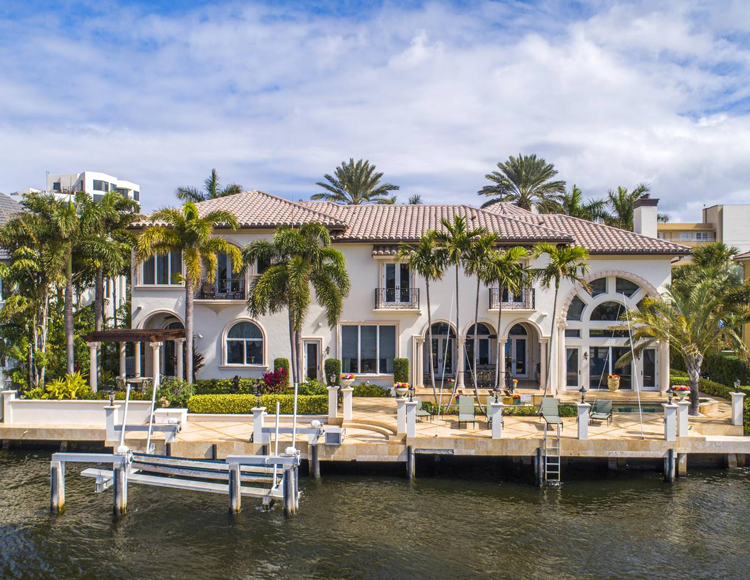 Homes for sale in Highland Beach include a mix of waterfront condominiums, townhomes with dockage, and custom built estates and compounds directly situated along the Intracoastal or the ocean. Step inside some of the most impressive properties for sale in Highland Beach, from a 10,000-square-foot villa to a modern condominium with endless ocean views. Fashioned with an intrinsic sense of style and a focus on detail, this stunning estate captures the spirit of a luxury resort villa in an enviable setting on the Intracoastal Waterway in Highland Beach’s estate section. Statuesque palms mark the arrival to the lantern-lit courtyard of this streamlined Georgian-inspired masterpiece by award-winning Brenner Architecture Group, expertly crafted in 2015 by the boutique firm J.H. Norman Construction and kept in new condition. Serving as an impressive reception hall, the classic two-story foyer brings guests into the waterside great room, highlighting a linear-flame fireplace in a feature wall, expanding the entertaining space into the open family room and the club room. Making the outdoors an extension of the inside, floor-to-ceiling walls of glass connect to the fire-lit lanai and sleek pool just steps from the beach. 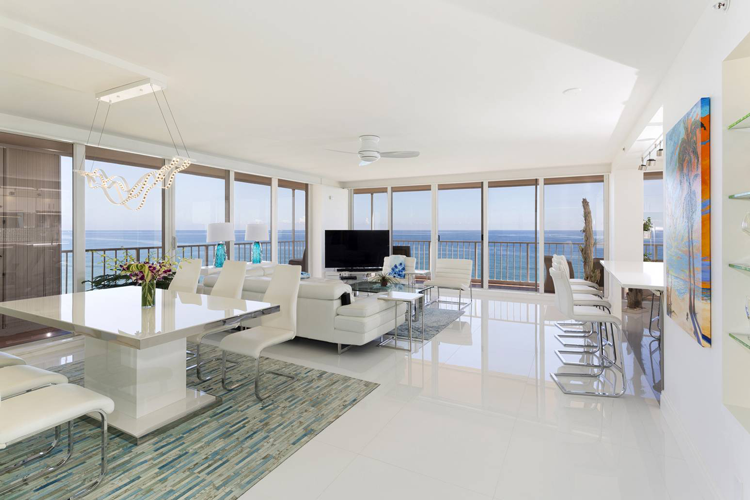 This stylish oceanfront residence is situated on Villa Nova’s 10th floor overlooking the serene ocean waters, visible from open living areas and all three bedrooms. Balconies span the east, north and west sides of this renovated condominium. It features an elevator leading directly into the unit and glossy white-glass floors that accentuate the modern, clean-lined decor and design. Wrapped with window walls showcasing a sensational expanse of the ocean, the corner great room is attuned to today’s way of living and entertaining. A sit-down bar counter separates the equally sleek kitchen in an open layout that lets the cook interact with guests. Positioned in the other corner, the master suite stretches across the entire west side of the residence, offering views of the Atlantic Ocean, the Intracoastal, city scenes, and sunsets. This custom-designed residence is sleek and sophisticated, offering unparalleled views and the utmost in luxurious beachfront living. Situated directly along the ocean, this ultra-luxe oceanfront townhome brings effortless ease to the feel of estate living at an exclusive address. 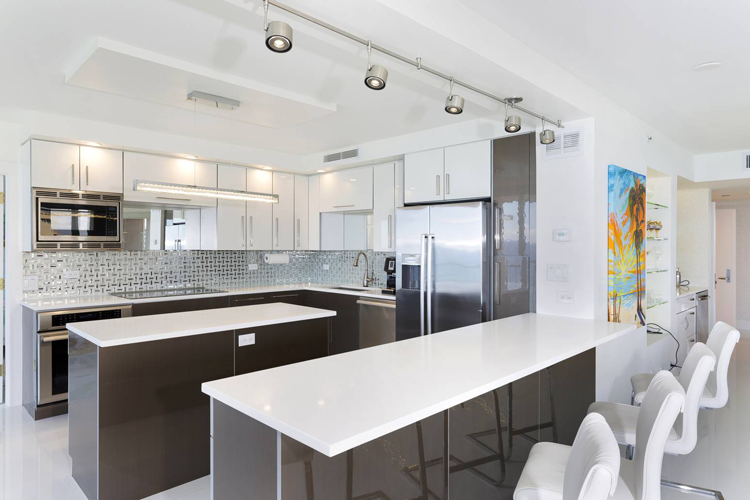 This spacious four-bedroom townhome is one of just three residences at The Villas of Highland Beach, an exclusive gated enclave designed to offer a lifestyle experience unlike any other. Embraced by a stunning spiral staircase, the rotunda foyer sets the tone carried into the fireside oceanfront living room, an exquisite salon-like space connecting to the oceanfront dining room and professional-style bar room — all designed for entertaining and opulent living. Placing the attention on the ocean’s blue brilliance framed against the sunny skies, window walls spill outdoors to the breezy loggia and private splash pool, next to lush lawns bordered by a private dune walkway crossing to the wide sandy shore. Other notable features of the home range from the spacious family room to the handsome office, media room, and oceanfront master suite, a dreamy fireside retreat that indulges in a spa-inspired double bath and fabulous wardrobe room. Standing as a glamorous palazzo on a wide stretch of sparkling waters, this elegant estate fronts over 100 feet on the Intracoastal Waterway just steps from deeded access to the beach. Privacy hedges and statuesque palms add to the impressive presentation of this stately villa designed by Brenner Architecture Group, an award-winning South Florida firm. 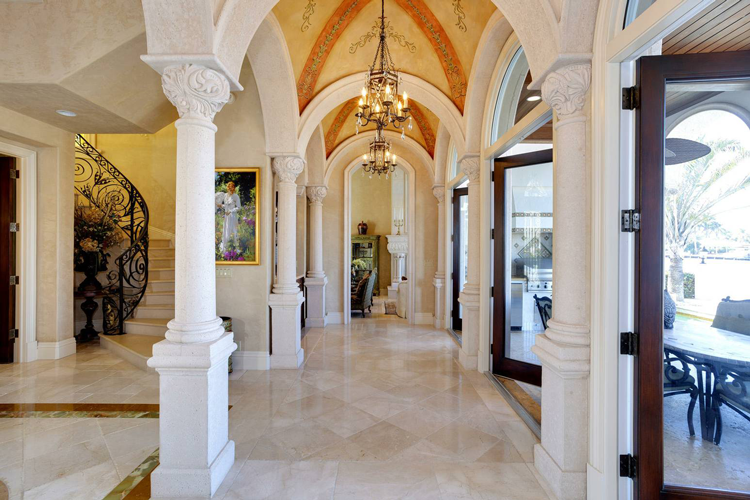 Inside, next to the grand staircase, the two-story foyer and vaulted gallery together create an elegant front-to-back reception room, perfect for entertaining. This space leads to the waterfront loggia and exquisite pool terrace in a garden oasis overlooking the waterway. Upstairs, the grand waterfront master suite lends a feeling of serenity, looking out over the lush palm trees toward the Intracoastal, and offers the luxury of two separate baths. Complete with a lift-equipped boat dock, plus conveniences including impact glass, a generator, and an elevator, this beautiful estate home offers Highland Beach living at its finest. Still searching for your dream home in Highland Beach? Create an account with Premier Estate Properties to receive real-time alerts when new listings come on the market, connect with your agent on-the-go, search for luxury listings, receive updated market data around a specific address, and much more.